The post Get your songwriting splits right, or you might not get paid at all appeared first on DIY Musician Blog. The post The DIY Musician Conference is coming to Austin in 2019! appeared first on DIY Musician Blog. The post Watch full sessions from the 2018 DIY Musician Conference appeared first on DIY Musician Blog. The post CD Baby Publishing reaches 1,000,000 songs! appeared first on DIY Musician Blog. The post Facebook 101: how and why to make a band page on Facebook appeared first on DIY Musician Blog. The post 5 music business podcasts you can’t live without appeared first on DIY Musician Blog. Why planning your release is more important than ever! The post Why planning your release is more important than ever! appeared first on DIY Musician Blog. 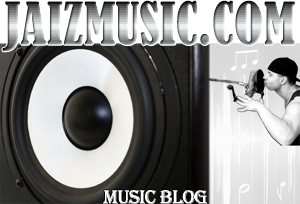 The post Get your music mastered instantly (for FREE!) with CloudBounce appeared first on DIY Musician Blog. The post How much money will I make from that playlist placement? appeared first on DIY Musician Blog.